Dehydration is a serious complication of fluid loss associated with vomiting and/or diarrhea. In fact dehydration can lead to death. It is one of the main complications associated with vomiting and diarrhea and one of the primary reasons for fatal outcomes with these conditions, particularly in children. In the large majority of cases, dehydration can be prevented. Unfortunately many people do not know the facts about how to rehydrate properly, when to start and what to use to prevent dehydration. When you vomit or suffer with diarrhea, you lose copious amounts of fluid and electrolytes (salts). Rehydration is necessary to replace the water and salts. It can be done through the mouth (orally) by drinking rehydration solutions, or directly into the bloodstream through an intravenous (IV) drip. Oral rehydration should commence immediately once vomiting and diarrhea starts. While it is best to rehydrate orally and prevent the need for an IV drip, sometimes it is not possible to do so when there is profuse vomiting. IV rehydration may then be necessary from the start. Depending on the cause and severity of vomiting and/or diarrhea, the body can lose liters of fluid within an hour or two. It is important to rehydrate adequately to match the amount of fluid lost. Waiting to rehydrate later can be dangerous. The loss of fluid and electrolytes can alter blood pressure, strain the heart, disturb the pumping ability of the heart, disrupt brain activity and cause other very serious effects. Ultimately it can lead to death. Therefore rehydration needs to be commenced as soon as possible. Remember that if you are also sweating profusely as a result of a fever, hot weather or other reasons then you will be losing much more fluid and electrolytes beyond that of diarrhea and vomiting. This requires a greater effort to rehydrate. Sometimes your best efforts at rehydrating may not be sufficient. Dehydration sets in and gradually worsens. Understand the signs and symptoms of dehydration and never delay seeking medical attention. It can be a matter of life or death. Here are some ways to rehydrate properly when you are losing fluid and salts through vomiting and diarrhea. Many of these measures are also effective for fluid loss from profuse sweating. 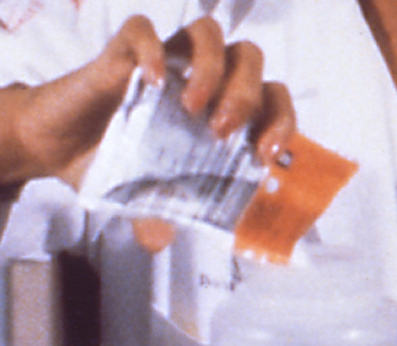 Commercial rehydration solutions are usually available as sachets containing a mixture of different electrolytes. It can be added to clean water and consumed throughout the day. A commercial oral rehydration solution (ORS) is the better option because the combination of different electrolytes is optimal for proper rehydration without worsening diarrhea by drawing fluid out from the body and into the bowels. These solutions are easily available from most pharmacies and supermarkets and should be used exactly as directed. Although a commercial rehydration solution is the preferred choice for oral rehydration, if it is unavailable then a homemade solution can be made with clean water, sugar and salt. Remember that clean water is essential or it can further contribute to diarrhea and vomiting. The formula is simple. Add 6 level teaspoons of sugar and half of a level teaspoon of salt to a liter of water. Mix thoroughly and drink regularly throughout the day. As far as possible, a homemade rehydration solution should be a temporary measure until a commercial solution can be purchased. Sodas and energy drinks can both be a problem when you have diarrhea or vomiting and should not be used as a means to rehydrate. These beverages may have a high concentration of solutes that can draw out water from the body into the bowels. It can worsen diarrhea and actually contribute to dehydration faster. However, if there is no access to safe drinking water like when traveling to an underdeveloped country or during a natural disaster then sodas and energy drinks are better than no fluids at all. 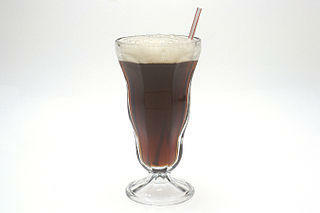 Avoid those drinks that are caffeinated. Breastfeeding of an infant should never be stopped if the baby has vomiting or diarrhea. Medical attention is necessary as soon as possible because the outcomes can be much more severe for infants. However, mothers should continue breastfeeding and not try to feed oral rehydration solutions to newborns who may have vomiting and diarrhea. Breast milk has all the nutrition that a baby needs for at least the first 6 months of life and this includes all the necessary fluid and electrolytes needed for rehydration. 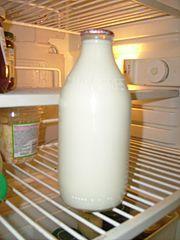 Dairy and particularly milk is not suitable as a rehydrating solution. While milk is nutritious, it is laden with fats that may not be well tolerated in certain gastrointestinal illnesses. Similarly the constituents of milk could draw fluid out of the body and into the bowels. Furthermore secondary lactose tolerance can develop in certain diarrheal illnesses which makes it difficult for the digestive system to digest milk proteins. This can then exacerbate diarrhea further and promote dehydration. An important part of rehydration is knowing what not to do to prevent further loss of fluid and electrolytes beyond diarrhea and vomiting. Try to get as much bed rest as possible and keep the room cool. Physical activity and environmental heat will both cause you to perspire which in turn leads to loss of fluid and electrolytes. While you may still need to do some of your daily chores, exercise has to be avoided altogether. It is also important to rest in order to recover from the illness that has led to vomiting and diarrhea. Some foods may worsen your vomiting or diarrhea and should therefore be avoided. However, this does not mean that you should abstain from solid foods altogether until your symptoms abate. While eating may not be an option if you are still experiencing bouts of vomiting, you should not switch to a liquid diet if you have diarrhea. Start eating solid foods as soon as possible and stick to bland meals. Avoid irritant foods. It may be worthwhile looking at the BRAT diet for your first few meals. Little to no urine or very dark colored urine. Confusion and even loss of consciousness. Skin dry and less firm that normal. Read more on dehydration symptoms in diarrhea and vomiting. Intravenous fluid administration may be necessary at this point since oral rehydration was insufficient to prevent dehydration.